JFrog first released Xray in July 2016, and the response was phenomenal. Customers were very excited about the ability to hook up their Artifactory repositories and have Xray automatically do a deep recursive scan of their artifacts to weed out issues and vulnerabilities. Now, after several months, with the diverse experience and feedback from the many customers who installed it, we’d like to share some best practices that will help you get started with Xray. This post assumes you have some familiarity with Xray, so if you are new to scanning the artifacts in your Artifactory repositories, you might want to start with our first blog post about Xray to get familiar with it. 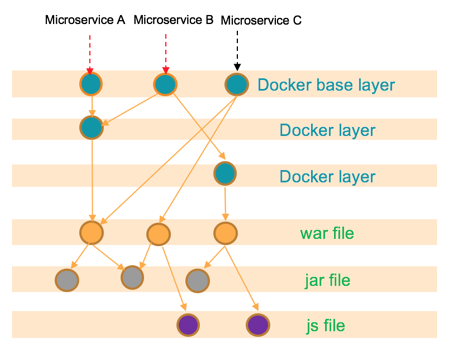 Xray is architectured as a system of nine microservices. There’s the Installer microservice, which when invoked, spins up five Xray internal microservices and three third-party ones (RabbitMQ, MongoDB, and Postgres). The central microservice is the Xray Server. 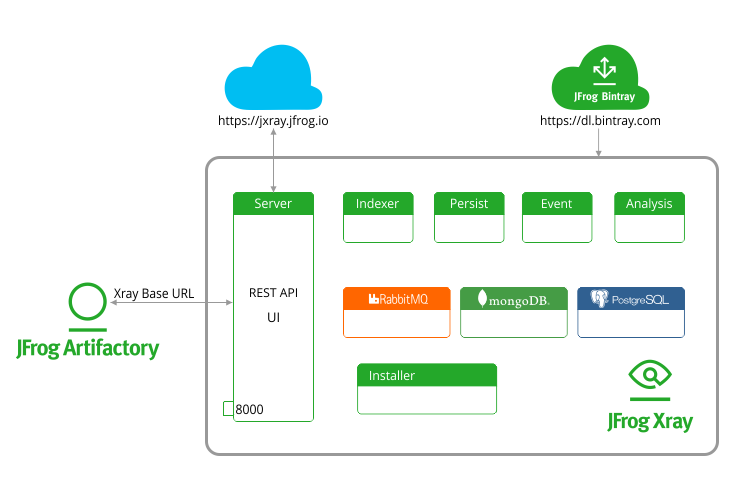 It listens to all incoming requests from Artifactory and external services on port 8000 and pulls in vulnerability and component data from the cloud from jxray.jfrog.io and dl.bintray.com. The connection to these URLs is required for online data sync. Xray can also be configured to talk to these URLs via a proxy server. However, if your company’s security policies mandate production systems to be fully isolated from the external network, you should use offline sync. Xray does a deep recursive scan of artifacts to index them together with all their dependencies. This ensures that all binaries are picked up for analysis even if they are embedded deep within a complex component structure. In this process, a component graph that includes the correlation between all indexed binaries is created. This operation is compute intensive, and depending on the size and complexity of an artifact, the compute requirement varies. For example, a Docker image may have few “jar” and“js” files within a “war” file, all of which reside in a “tar.gz” file. JFrog Xray identifies each binary irrespective of the technology and the number of layers in which the binary is embedded. NOTE: The high minimum disk space requirement is because Xray recursively extracts each artifact from its parent component to ensure that it identifies all binaries down to the deepest level. Installing Xray is a breeze. Whether you’re using the Docker installation or the Linux installation, it’s a matter of two or three simple commands. The three best practices we described in this post will make sure that your installation is not only easy but also smooth and highly performant. Below are two useful screencasts highlighting JFrog Xray best practices: how to set the open file descriptor limit, and how to use Xray Health Diagnostics.